Exclusive to Phil Hoffmann Travel. 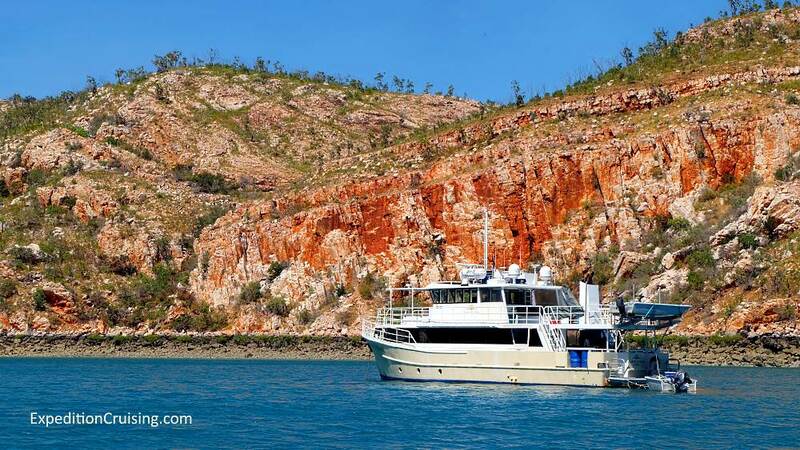 If you've ever dreamt of cruising Australia, this is the ultimate choice. 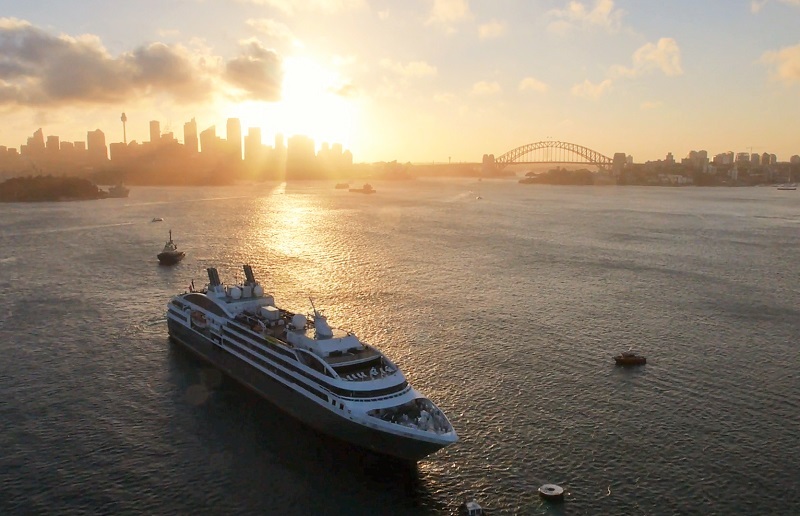 Sail on Ponant's stunning yacht, L’Austral and experience a different and exclusive type of cruise. A concept of travel that is intimate, luxurious and authentic. Book by 30 September. Don't let this incredible 2-for-1 offer sail away! For no better reason than we love the images, here are some super new shots from expert travel photographer, David Kirkland, on assignment in Fiji. Enjoy. Peregrine Adventures is tripling the number of its small ship Adventure Cruising departures in Europe in 2018 in response to growing demand for more sustainable cruises. After almost 40 years as a leader in small group adventure travel on land, Peregrine Adventures' first season of small ship cruises has been an overwhelming success with a pilot charter trip along the Croatian coast 95% sold out. Now the carbon-neutral travel company will add four new charter itineraries to its Adventure Cruising range in Europe, with a total of 20 departures available in 2018. Peregrine Adventures will also offer a wider range of trips operated in partnership with Variety Cruises, which are carbon-offset by parent company, the Intrepid Group. Cruise is one of the largest growing sectors in the global tourism industry, but the sector has been in the spotlight lately for sustainability issues with locals protesting against mass tourism in European cities such as Venice and Barcelona. 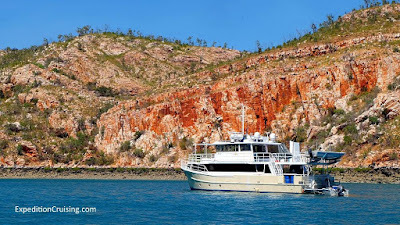 Peregrine Adventures Adventure Cruising range is operated by small ships with no more than 50 travellers onboard, enabling travellers to visit the small ports that big ships can't get to and explore little-known towns and villages in some of the world's hottest travel destinations. 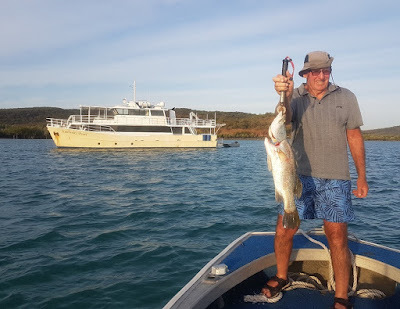 It's a conscious choice, enabling the renowned responsible travel company to operate in the same immersive local style as it offers on almost 2000 trips on land each year. "Travellers are increasingly aware of the impact they can have on holiday," says James Thornton, CEO of the Intrepid Group. "We've heard from local leaders that cruise ship travellers are now being called 'ice cream tourists' because that's all they're buying when they visit an increasingly overcrowded city like Dubrovnik." Thornton says he believes the demand for a more sustainable style of small ship cruising is so big, that Adventure Cruising travellers may outnumber those on Peregrine Adventures land-based trips in another ten years. "We're starting small, but we have big ambitions to grow a more sustainable style of cruise ship travel. There has been an overwhelming response to this first season. 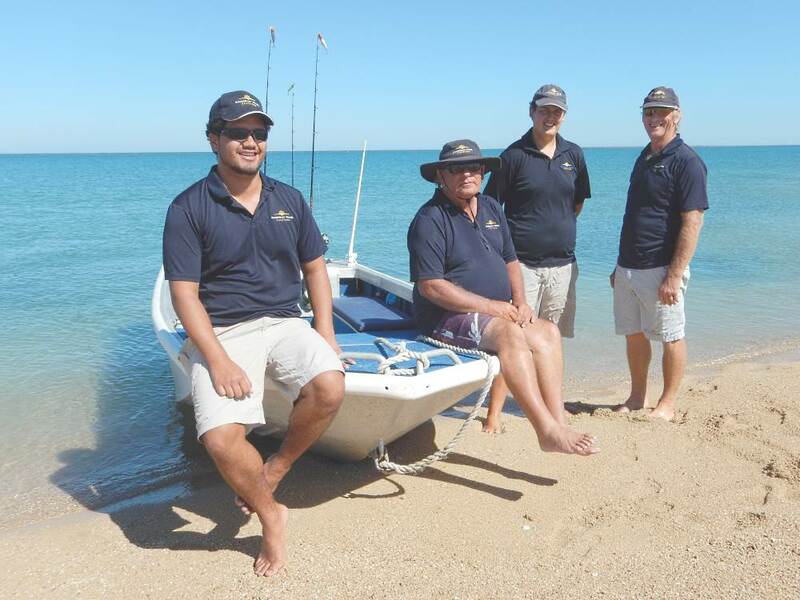 By 2025, we may even see more Peregrine customers travelling on small ship cruises than on our land-based trips." As part of its commitment to sustainable tourism, in 2018 Peregrine Adventures has banned all single-use plastics such as straws, cups, and water bottles on board its Adventure Cruising charter trips. Cloth bags and refillable water bottles will be provided. October 1 - 4, more than 90 representatives from the Arctic and Antarctic expedition cruise industry will gather in Iceland for the second AECO/IAATO Polar Field Staff Conference. The topic of the conference is evolution and new challenges in the polar tourism industry. The three-day conference program includes sessions on growth management, technological developments, safety standards, operational development, citizen science and field staff qualification. The Polar Field Staff Conference is organized by the Association of Arctic Expedition Cruise Operators (AECO) and the International Association of Antarctic Tour Operations (IAATO). The conference gathers guides, expedition leaders and operations managers working for AECO and IAATO. The aim of the gathering is to support the two associations' joint mission of advancing safe and environmentally responsible travel in the polar regions. 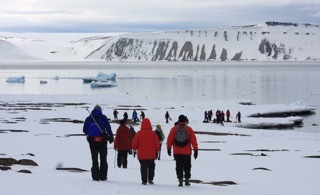 "It's a chance to discuss the practical issues that staff are facing out in the field, but it's also an opportunity to weigh in on the larger perspective of polar tourism," says Frigg Jørgensen, Executive Director of AECO. 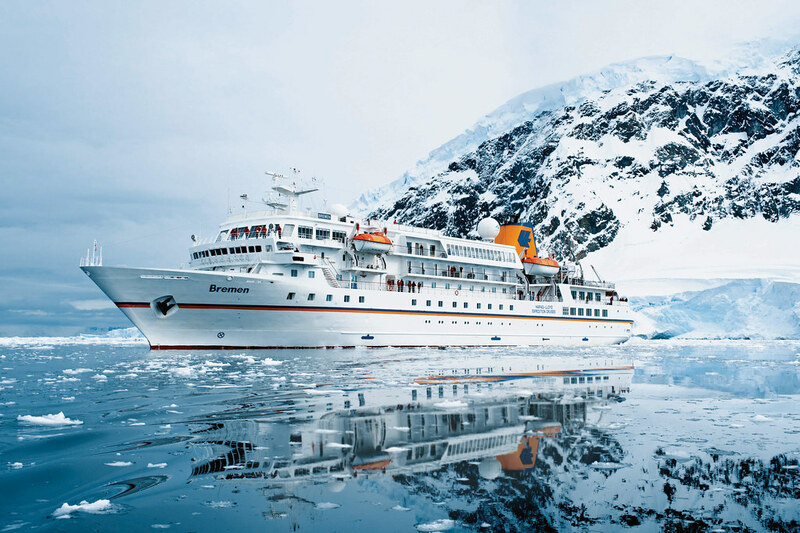 According to Jørgensen, with greater interest in Arctic and Antarctic itineraries, managing growth will be an important topic at this year's conference, "It is in the industry's interest to ensure sustainable growth. AECO and IAATO are continually developing guidelines and raising standards to promote safe and responsible tourism. Our members have decades of polar field experience, and their expertise is one of our best resources as we prepare for growth," says Jørgensen. The conference also highlights how the industry is doing to have a positive impact in the polar regions. One example is the many citizen science initiatives that enable polar visitors and crew to contribute to research projects, such as collecting data for whale identification or sea-ice monitoring. "Involving visitors in polar research is not only good for science, it also gives them a deeper understanding of the polar regions and the need to protect these unique and globally important areas," says Damon Stanwell-Smith, Executive Director of IAATO. Photo caption: "Safety is an important aspect of responsible polar travel. Bringing tourists safely through polar bear country in Svalbard is just another day on the job for an Arctic guide. Photo: Ilja Leo Lang." Download high resolution image here. The biennial joint AECO/IAATO Polar Field Staff Conference is aimed at operation managers, expedition leaders and senior field staff, who are working for members of AECO and/or IAATO. This year's theme is Evolution and New Challenges in the Tourism Industry. The two-and-a-half-day conference will take place at Hótel Örk in Hveragerði, Iceland, from October 1-4, 2017. Members of the press are welcome to request press accreditation by contacting Edda Falk, Communications Manager, AECO, at edda@aeco.no / cell: +47 47 63 25 50. 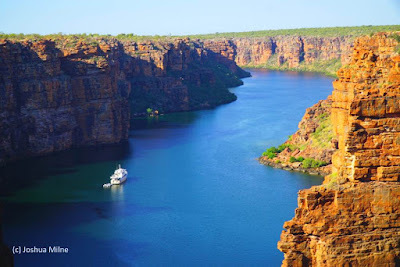 Coral Expeditions, Australia’s pioneering cruise line, has signed a contract today with Norwegian shipbuilder Vard to build its fourth expedition cruise ship due to be delivered in mid-2019, with a further vessel intended to follow. Modern and rugged, the new ship will carry a maximum of only 120 guests in 60 cabins, preserving Coral Expeditions’ traditionally relaxed and intimate onboard atmosphere. She will be Australian flagged and conform to the highest standards of build quality, operational redundancy, environmental compliance, and safety. The new ship will feature a modern Australian-designed interior with the colours and textures of tropical Queensland, the birthplace of the company. Accommodations will be restful havens for guests returning from shore excursions and range from outside staterooms of 17 sq m (183 sq ft) to suites of 43 sq m (463 sq ft) with outside-facing bathrooms. Active stabilisers will ensure guest comfort in varied conditions. 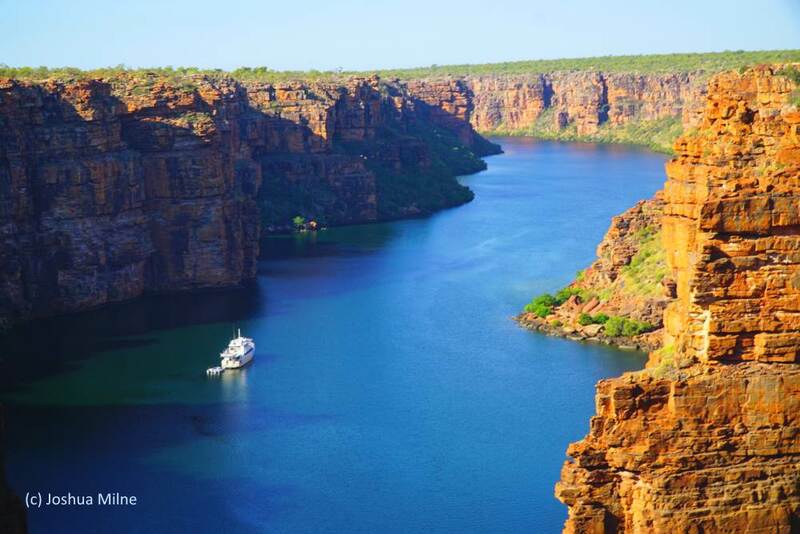 The ship will join the Coral Expeditions fleet exploring the Kimberley region, Cape York and Arnhem Land (The Top of Australia), Papua New Guinea, the Spice Islands, Indonesia and the South Pacific. She will be available for bookings in October 2017. More information will be released closer to the booking date. 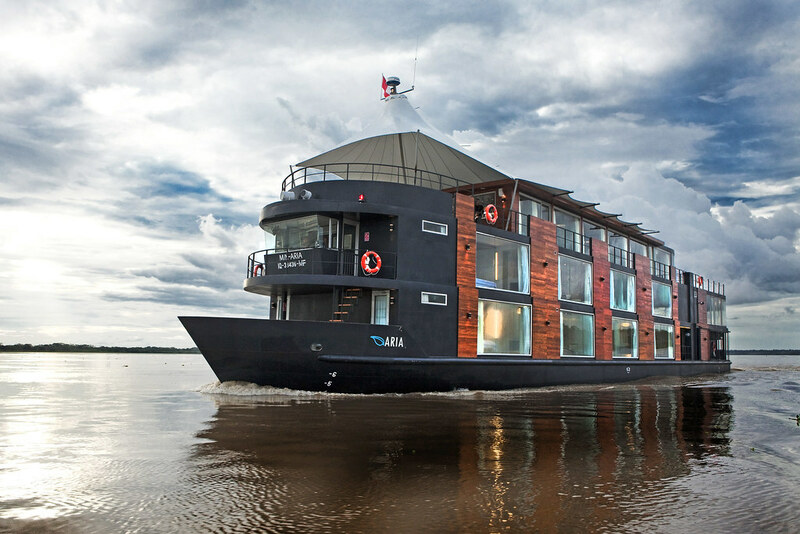 The new ship order reflects continuing strong demand for the Coral Expeditions product – an intimate and destination-focused cruise experience that stands apart from mega-ship cruising. Windstar Cruises has announced five new cruise dates running September to November 2018 in addition to already diverse offerings in Asia for 2017 and 2018 on 18 different itineraries with 25 different departure dates spanning seven to 34 days. 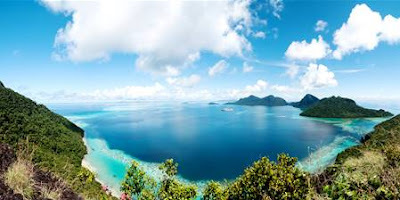 Visiting both well-known ports and hidden harbours across Southeast and East Asia options include a President's Cruise to the Philippines and Borneo, fresh land tours, recently added itineraries, and fascinating shore excursions showcasing the region in the line's '180 degrees from ordinary' style of cruising. "Windstar's Asia Collection now offers larger-than-life adventures and exceptional experiences only possible on a small ship," said Windstar President, John Delaney. 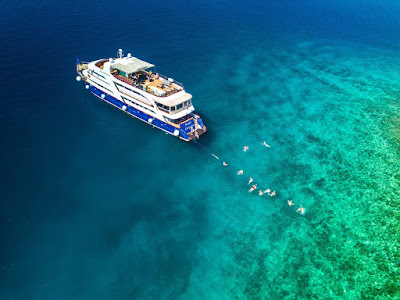 "Reaching dozens of UNESCO World Heritage Sites and bringing guests in contact with some of Asia's less frequented landmarks, Windstar will also proudly sail straight into the heart of must-see Asian cities where larger ships typically dock on the outskirts. I'm really looking forward to hosting our guests and visiting some extraordinary locations on the President's Cruise, along with Star Legend Godmother and US travel professional, Gloria Bohan." After two intriguing itineraries in Arabia, Windstar's Asia cruise season begins in December sailing through to the end of May 2018, when the ship navigates to Alaska for the summer season. The itinerary offerings are exceedingly diverse with port calls to small exotic harbours where cruise ships rarely call to epic visits at the icons of Asia including Beijing, Hong Kong, Tokyo (Yokohama), Singapore and Bangkok. 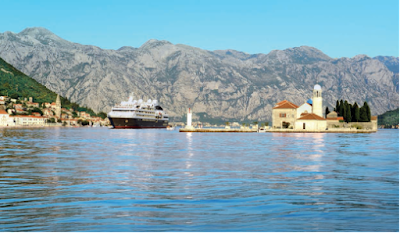 Windstar guests will embark upon a journey that allows them to enjoy a wider range of locales on land with four new pre and post cruise tours, including five longer itineraries via Windstar's new Star Collector Voyages. Aboard the sophisticated Star Legend, accommodating an intimate 212 guests, the casually elegant ship will provide access to distinctive cultural, historical, and culinary experiences, tantalising all the senses and making for an unforgettable holiday. The new itineraries and land tours cover architectural favourites and geological splendours including the Great Wall of China, Angkor Wat and Mount Fuji, as well as the chance to sail across the Pacific from Anchorage to Yokohama. New for 2018, passengers will delve into the magnificent and rustic Alaskan wilderness before soaking up all that Japan has to offer. Windstar's President's Cruise sets sail on The Best of the Philippines & Borneo itinerary departing 6 January with Windstar President, John Delaney and Star Legend Godmother, Gloria Bohan. Many of Windstar's crew on this cruise are from the Philippines, so it will be a homecoming of sorts. It will be a wonderful way to explore the culture and country alongside those who love and know it best with Filipino crew to join passengers on shore excursions to visit their native landmarks and will share tips on their favourite activities and beloved locations in their homeland. The 14-day cruise will visit beautiful islands and beaches including Palawan and Boracay. The voyage features an overnight in Manila and a stop at the often-overlooked (and rarely visited by cruises) Hundred Islands National Park. A visit to Brunei takes guests inside one of the wealthiest countries on the planet, affording a look at some of the largest and most beautiful mosques in Asia. Asia shore excursions are now 'live' on Windstar's website and able to be booked by guests. With so many new and noteworthy offerings from culinary adventures to must-see UNESCO World Heritage Sites, advance reservations are recommended particularly with the more popular and unique experiences like Ko Kut Treepod Dining. Offered by Windstar aboard the Icons of Southeast Asia cruise, this one-of-a-kind dining affair, inspired by the free-spirited nature of childhood, involves climbing up high to a leafy canopy where guests are comfortably seated in a bamboo pod. They are then gently hoisted high up onto tropical foliage of Ko Kut's ancient rainforest, taking in the shoreline views as a gourmet feast is delivered to them via the zip-line acrobatics of a personal waiter. Uniting land and sea is the Angkor Wat Land Tour to/from Bangkok with four pre and post cruise options on Windstar. Over the course of three days on land, guests will have the chance to marvel at the impressive architecture of religious temples, predominantly Angkor Wat, a UNESCO World Heritage Site. Here guests, who wish, will be driven in the early hours of the morning to witness a breathtaking sunrise over this Seventh Wonder of the World. A visit to Wat Atvea Pagoda, located in the Angkor Archaeological Park, is also included where there will be an opportunity to meet monks and receive a traditional Khmer Water Blessing from them. Similarly, Windstar is offering the Angkor Wat Land Tour to/from Singapore with pre and post cruise options on 11 sail dates/itineraries. The Beijing and Xian Land Tour can be experienced as a pre or post cruise option on three Windstar's Asia cruises, with a 3-day land journey that begins in Beijing at the Temple of Heaven, providing an authentic look into local city life. From there, the 'Forbidden City' will present visitors with some of the best-preserved pieces of classical Chinese architecture before they head to Tiananmen Square, home to Chairman Mao's remains. No holiday in China is complete without sampling the flavoursome local cuisine, with guests to be taken to a famous Peking duck restaurant in Beijing. Guests will also experience the Great Wall before flying to Xian to encounter the Terracotta Warriors and visit the old city. The Kyoto/Osaka Land Tour is a 3-day option pre or post cruise on Windstar's Grand Japan. Highlights include Osaka Castle, the UNESCO Site of Nijo Castle and Kinkakuji Temple, also known as the Golden Pavilion and aptly named because the walls and eaves are covered in shimmering gold leaf. Singapore & Siam Holiday presents an exotic and stress-free alternative to celebrating the holidays over seven glorious days. Let the festivities begin with an overnight stay in Singapore before sailing to Malaysia to Penang's UNESCO World Heritage Site in Colonial George Town and then ascend on the Langkawi Gondola to get a bird's-eye-view of the rainforest wonders. Upon arrival in Ko Yao Noi, sea lovers can swim with the colourful butterfly fish in the aquamarine waters of this Thai island paradise or venture inland to scope out the quaint rural villages. An overnight stay in picturesque Phuket tops off this unparalleled holiday escape. What better way to ring in the New Year than with a Taste of Siam & Singapore New Year's Eve cruise. Guests will spend seven days sailing from Phuket (Patong Bay), Thailand to Singapore, stopping in Malaysia along the way. This exhilarating voyage commences in Phuket, famous for its pristine beaches. It continues onto Ko Phi Phi, made popular by the 2000 film The Beach, where party-goers can pop open their bubbly to celebrate the arrival of 2018. After a day at sea, create iconic memories in Ipoh, the fourth-largest city in Malaysia, where evidence of a British colonial past remains, and then take in the 360-degree views from the top of one of the world's highest towers in Kuala Lumpur. The trip concludes with a visit to the UNESCO city of Malacca and an overnight stay in bustling Singapore. Aleutians & North Pacific Crossing will create an extraordinary passage between Seward, Alaska and Tokyo, Japan over the course of 16 days in 2018. A cruise that emphasises the less-frequented ports of call will retrace the route of Russian-America fur trade, island-hopping along the Aleutian Archipelago. Visitors can live out their wildest adventures as they sportfish in Kodiak – possibly spotting one of their famous bears – or kayak in the remote waters of Sand Point catching glimpses of bison. Fans of 'The Deadliest Catch' will get the chance to visit Dutch Harbor which was featured on this television show for being the only deep-water port in the Aleutians and main delivery port for king crab. This awe-inspiring excursion continues in Japan with Kushiro, home to Japan's largest marshland and endangered Japanese cranes, and Miyako, a city slowly recovering from the devastating 2011 tsunami and whose Jodogahama Beach has been nationally dubbed a 'Place of Scenic Beauty'. While Windstar's 10-day Grand Japan itinerary was originally announced solely for early 2018, Windstar has now added two new Autumn sailings on this already wildly popular itinerary. Fall colours promise to be spectacular, along with fewer crowds during this less-visited but no less gorgeous time to explore Japan and South Korea. For another take on Japan with a taste of Korean and Chinese culture, Pop Culture Kings of Asia offers 11 days of uncovering over 17 UNESCO sites, as well as the birthplace of J-Pop and Harajuku culture. Beginning in Tokyo and ending in Beijing, cruise dwellers can choose to immerse themselves in retail heaven in the largest underground mall in Seoul or meditate in the serenity of Kyoto, Japan's Bamboo Forest. Other highlights of the trip include Shimizu, home to Mount Fuji, Japan's highest mountain, the nearby 65-foot Shiraito Waterfall, and the unforgettable Tamano (Uno), a location though which few vessels are able to pass. Stopping in Hiroshima to sample the Okonomiyaki savoury pancakes cannot be overlooked before sailing over to South Korea where the dormant Hallasan Volcano and the world's longest lava tunnels are also a must-see. For travellers seeking an experience that is more than a typical 'bucket list' experience, iExpedition.com brings together Australia's largest selection of Polar cruises. Tick off the seventh continent! Kayak among majestic icebergs while whales play around you and then camp on the ice in the Antarctic solitude. There's also the chance to ski, climb, snorkel or scuba dive. Yes, in Antarctica. In the Arctic fly over the North Pole, get up close to polar bears in Norway, Svalbard, Franz Josef Land or Canada, and for the serious adventurer, there's the chance to snorkel with orcas – no cage required. We are serious when we say iExpedition is home to a complete range of experiences available on polar expedition cruises. iExpedition brings together more than 600 different expedition departures to Antarctica and the Arctic regions in an intelligent, user-friendly and visually pleasing site. This allows travellers to search and filter hundreds of voyages, quickly and easily find ones that fit their travel dates, budget, time frames, dream adventure activities and many other personal preferences. They can also create wish lists, request reservations and book cabins online. 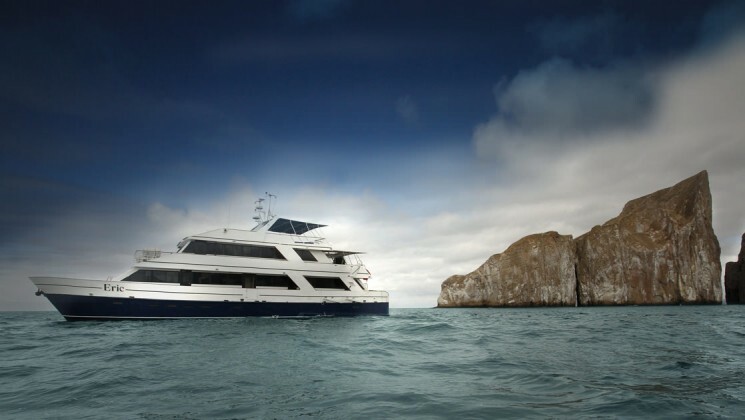 With 40 vessels ranging in size from sailing vessels for just 10 passengers to small, luxury expedition ships that can cater for 300, there is a ship for all travel styles and budgets on iExpedition.com. A combination of iExpedition's dedication to Polar expedition cruises and director Ben Alexander's expertise and near decade in the industry has enabled the company to pool a huge amount of data on hundreds of Polar voyages in a way that is easy for travellers to navigate. As part of its sustainability commitment, iExpedition partners with Carbon Neutral and for all new bookings donates '1 tree for each day our travellers are at sea' to replenish key Australian biodiversity corridors.